Download our our full Christmas Dinner Menus, send them back to us and Ryan's Food Emporium will look after you with all the trimmings for your perfect Christmas Dinner. We are a wholly Irish owned, independent family business based in Cong, Co Mayo specialising in quality organic and free range meat and fish from trusted local producers as well as quality Irish artisan produce across a wide range of products including Atlantic sea salt and Irish made chocolates. 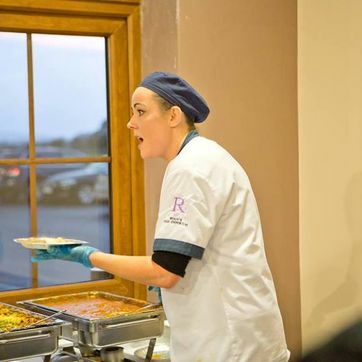 We bake all of our bread in house as well as offering a premium bespoke catering services to small and medium sized events throughout Mayo and the surrounding counties. Ryan’s Butchers was established in the early 1960’s by Tom and Helen Ryan. Their passion for food and locally sourced produce has been passed on to us and we continuously strive to follow the example they have set and the Ryan name has always been synonymous with quality. 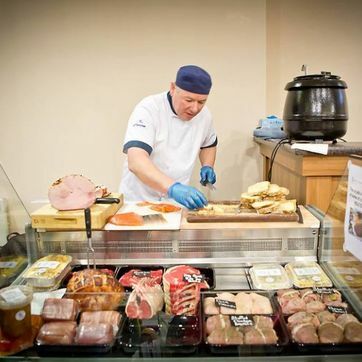 Thomas Ryan began working in the butchers in the early 80’s where he mastered his skills as a quality butcher. In fact, he entered the Craft Butchers Associations “Young Butchers Award” on two occasions in 1985 and 1987 and came first each time. The Ryan family opened the highly renowned “Echoes” Restaurant next door to the butchers in 1990 where they continued their dedication to quality produce and ingredients into the kitchen; creating unique and delicious meals for the local community and anyone that came along to taste their creations. Echoes closed in 2001 and paved the way for the opening of Ryan’s Food Emporium. Thomas and Michelle were wed in 2007. It was around this time that Michelle, who had come from a long line of quality cooks, with recipes passed down to her from both her mother and grandmother, took an interest in taking over the kitchen responsibilities. 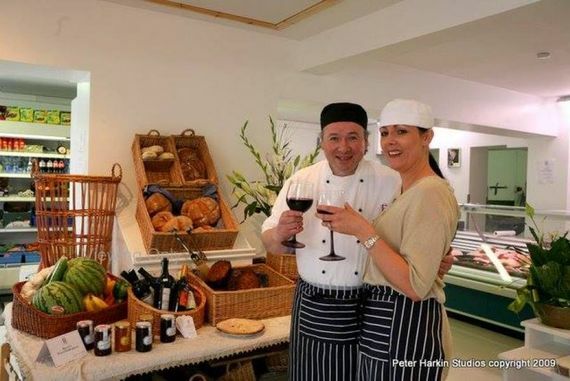 After the refurbishment of the previous two properties in 2009, Ryan’s Food Emporium opened its doors in 2010 and continues to develop its commitment to delicious, locally sourced meat and fish as well as home baked breads, including Michelle’s famous Ginger Guinness Fruit Bread. 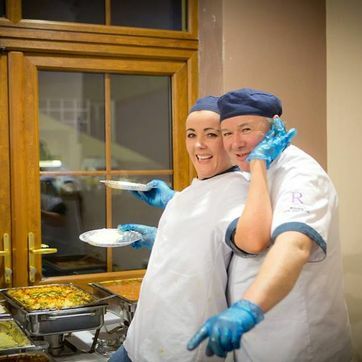 Thomas and Michelle, along with their quality team invite you to try their delicious meat, fish, veg and artisan foods at Ryan’s Food Emporium. Call us now to learn more about our intimate catering services.